Read right to the very end.. Loved every word. Niches upon niches as you say. We’re almost waiting for what’s next and which animal the world will do yoga with next. 🙂 i too have been interested in the explosion of digital media and this age of consumption we’re living in. Looking forward to part two and three. thank you. this piece has been percolating for years and as the pace of the crazy seems to up a gear every week, it has turned into an epic! glad you enjoyed. Loved ready this! I feel compelled more than any other time to stick to my guns as a teacher for 18yrs..and watch what happens! It may come to a point of implosion at some time. I’m disliking the consumerism of yoga so much. I’m hoping balance will return eventually. thinking along the same lines as me. Thank you for sharing your wisdom. We need to be having far more of these conversations in the yoga world. Looking forward to parts 2 and 3! Aaah phone typing…my name is Kathryn Boland, haha. All true. Agreed. However nothing will change until the industry of teachers accepts a self-regulating body that demands a level of expertise standardized ethics and professionalism in order to be accredited or certified as a teacher. Yoga Alliance is one step in that direction but doesn’t quite cut it. Yoga teacher certification should be mandatory and regulated. Just as academic teacher, physical therapist, social worker, sociologist, to name a few examples. Yoga Alliance should consider changing its mission to be a regulatory body that certificaties teachers according to strict guidelines for practicing and teacher training. And then it needs to Market itself as such so Consumers become educated on the importance of practicing with experienced and well trained teachers that go through a strict training and practice in order to be certified. 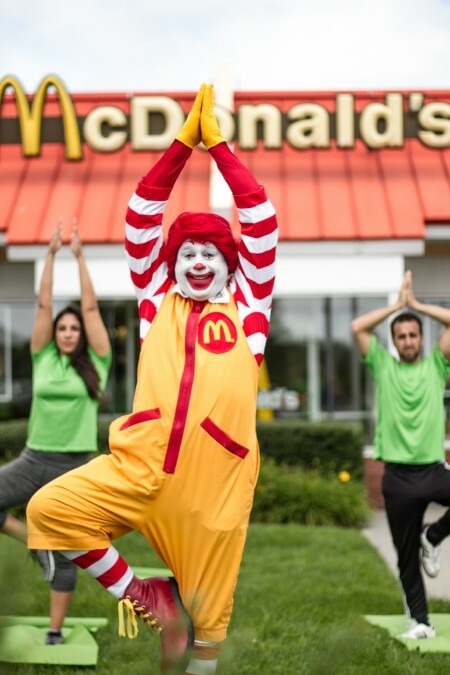 Otherwise the the wonderful ancient yoga practice will continue to be exploited and commercialized at the lowest levels of capitalism and sacrifice its integrity. Which is exactly what is happening. Brilliant and wise. Thank you. Many thanks W-P, whoever you are. I see what you see, I think. Though in the end words will be just words – never quite enough to show what one sees… To me, there is ‘yoga-yoga’, which is untouched by commerce, untouched by our ideas – without ‘masters’, gurus, schools, experts. And there is ‘mm-yoga’ (mm=mickey mouse), the stuff we see out there on youtube, facebook, studios’ websites, etc. After nearly 20 years of teaching I am still running some mm-yoga classes, but as time goes, it hurts more and more. I am attempting to change it all. I am looking forward to reading more of your posts, and with your permission, I will share them with my groups. Yeah, totally get it. After falling in love with Yoga I was ready for change, independence, personal growth, a challenge, the opportunity to make a difference and started a (Yoga) clothing company. My intention was to try and implement what I learned, provide service as well as try earn a living, but always had the nagging thought ‘Is it possible for Yoga and a monetary exchange co-exist?’. I know only a few (UK)Yoga teachers who teach authentic Yoga and manage to find the ever illusive work life balance. I personally found it too difficult to try marry the two and have decided after 4 years to disassociate my business from Yoga and keep them separate. (well, at least on the surface). This is about the weirdest thing I’ve ever read. It’s like some drug induced rambling of leftist buzz words. It’s not capitalism that makes “stealthy advance into every area of our lives”, it’s the socialist, repressive state. “The Yogi should practice Hatha Yoga … in a country where justice is properly administered, where good people live, and food can be obtained easily and plentifully”. Does this sound like a socialist state to you? I am curious about the ‘holier than thou’ utilisation of yoga. yoga makes me feel ‘better’: better performance, better resilience, better well being. It doesn’t make me ‘better than you’. I am an ape, you are an ape. we live on a coalesced rock made from the leftovers of the fusioning ball of gas that it is spinning around. there appears to be no point to it all. we simply are here together. yoga can make me feel better about this but it doesn’t make me better then you. i’m a little confused by your comment, because i don’t know where you’re getting this from. literally nowhere in this piece or its follow ups do i say i think i’m better than anyone else. in fact i go out of my way to point out that i am part of these dynamics. are you introducing another topic entirely, or can you say more? Miss you Joanne. I’m embarking on going back to school soon for a masters in counseling because I want to move on in a healthy direction from all this. It’s been a joyous ride in yoga and extremely eye opening. But I don’t want to sell it when I’m 60. I want to be a wise woman. Thanks for this. and discoveries. I also decided a long time ago that with familial respo sibilites and being sole provider for my family that i needed another source of income. Am priviledged to support my family through the day job. My practice and teaching and continual study with my own teachers encourage me to try and be a decent employer and fellow human being, treating others as i wish to be treated. I dont always manage this but the practice helps get me back on the wagon when I lose the run of myself. Thank you for sharing – Loving the emergence of all the honesty and intelligence coming from yourself and others. Lovely appreciation of whats happened. That Yogas secret still remains a secret is the beauty. I wrote about some of these points in my novel as well, but your article has given me some new food for thought. Of course, as a young person in the digital age, I engage in posting yoga on social media, but I have always dissociated it from my real life. I have been offered an ambassadorship for a clothing company due to my posts, and I did become an ambassador, but I like the clothing based on their quality, durability, and the message they spread. The company does give back to others by partnering with an orphanage, and the owner does her best to ensure that products are produced ethically. Wearing their clothes, I feel like I’m representing myself, and I also feel like I am learning to donate many other items of clothing, in order to feel more deserving of buying more from my sponsor. For example, I try to donate twice as much as what I would like. This reply feels a bit like an attempt to justify myself to the internet, but in reality your article has just reminded me of my constant struggle with the life of capitalism. I don’t need to justify to a stranger that I deserve my practice and my teaching certification, or that there are ways my yoga does not fit into capitalism. Yet, I still felt somewhat compelled, because parts of this article tugged at me. I do seek to be better, by understanding more about yoga, by practicing the yamas and niyamas, to my own interpretation of course, but nonetheless not ignoring them. I have read the Gita, and have the story of Krishna to be read, and seek more to read to discover the truths, and have written my own novel about yoga because of the way it touched my life. I think there is a lot to be said for the way that people want to share with others how their practice has changed their lives and I think it is very interesting to examine the effect capitalism has on that. I learned to teach yoga because I want to bring it into my future classroom when I teach children in general, and because I saw the benefit it had for me, I could see how many children could benefit from the life skills learnt through yoga. When explaining my connection to yoga to people who do not practice, I identify myself as a yoga teacher, because it is the easiest. However, to myself, being a practitioner of yoga is a huge part of my identity, and though I am a certified yoga teacher, I do not currently teach, and thus do not tend to think of myself as a yoga teacher first, despite all the knowledge I gained from my training that has invariably changed my life. I have never expected to be able to make lots of money through teaching yoga, though, but it has never been about that. Being able to make some money, often on the side, through my yoga teaching has been a bonus. It has always been about wanting to share the practice, share the lessons, share the skills. Without yoga, I would probably be dead or unable to walk by now, and that meant so much to me that I had to learn to teach it, in case just one person could benefit from it. I am to help people like me, so I do look for those “niches upon niches” that you mention, but less for the monetary value and more because that will be the way to find the students who need the kind of yoga that I teach. thank you for your thoughtful comment. i think we are all doing our best trying to navigate the yoga industry, and that that looks different for everyone. i was unprepared for the reception this blog has received, and it’s been quite amazing hearing how many people have been touched by it. i’m glad if it sparks lines of enquiry, glad conversations are happening; and glad that our critical brains are engaging with these issues. Thank you for this blog. I am a yoga student and I thought about a yoga teacher training multiple times but the commercialisation of Yoga really brought me away from wanting to become a teacher. And what ‘worries’ me more is that there are so many yoga studios – 90 % of them are only hot yoga – but I have not found one studio that is affordable and has good teachers. Also presumable if a yoga teacher works at a studio they will see very little of the money that I pay for the class. My knew philosophy is to go to local yoga teachers and support their classes rather than the studios. I love this, thank you. For many reasons this rings true for me.